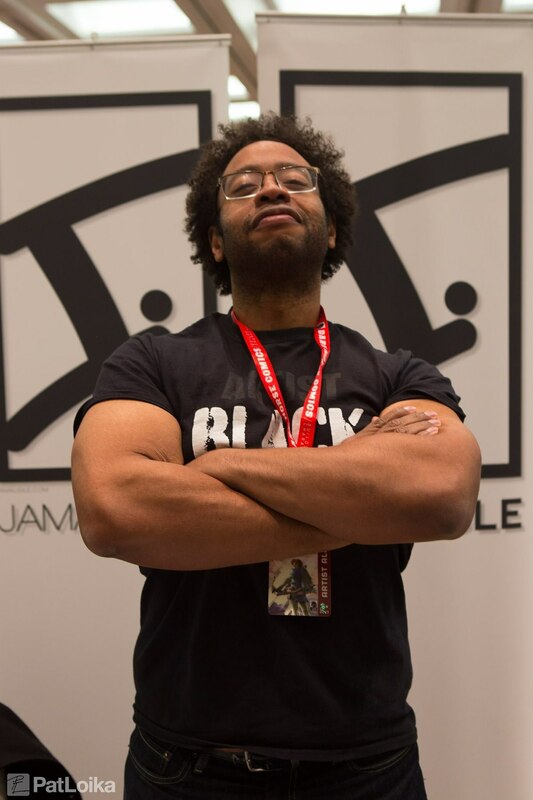 A recipient of the 2011 Inkpot Award for outstanding achievement in Comic Art, industry veteran Jamal Igle is the writer/artist/creator of Molly Danger for Action Lab Entertainment; the co-creator of Venture with writer Jay Faerber; the artist of the series Black from Black Mask Studios; and the penciler of AHOY Comics' THE WRONG EARTH. Jamal's detailed pencils have graced books as varied as The Narrative of the Life of Frederick Douglass, the all-ages action miniseries Race Against Time, and mainstream hits such as G.I.Joe, Iron Man, Spider- Man and Green Lantern. Jamal has penciled popular runs on Firestorm the Nuclear Man, Nightwing, Tangent: Superman's Reign, Superman, Supergirl, and Zatanna for DC Comics; Noble Causes for Image Comics; New Warriors for Marvel Comics; and The Wrong Earth for AHOY. He's acted on the small screen, done voiceovers for commercials, packaged books for Scholastic, and drawn storyboards for Roughnecks: Starship Trooper Chronicles and Max Steel: MX1 for Sony Animation. Jamal is also a popular guest lecturer on the subjects of comics and animation.